Watches are not only used to tell about the time but it is also one of the best accessories to show off. Choosing one that suits is best for you need is confusing so here we have enlisted the best men's watches under the 2000 rupees. All the watches here are from the reputed brands. Timex TI000U90000 is intricately designed watch boasts a round dial with stick and Arabic time markers etched on it.Timex TI000U90000 stylish Fashion Analog watch hands ooze class and sophistication. 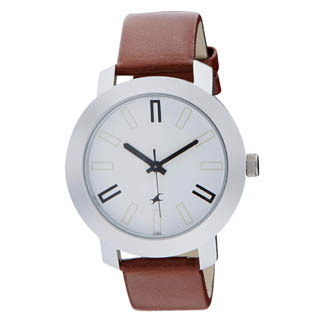 The comfortable brown leather bands with contrast-colour stitching feel smooth in the wrist. You can wear it without any trouble even in rain or while bathing as it is water resistant up to 30 meters. The classic buckle closure helps the watch firmly wrap around your wrist. Wear this amazing accessory to show off your awesome taste in fashion. Fastrack NK9332PP02 features some amazing characteristics, it is incomparable and one of the best choices you can opt for. The strap of watch is made of polyurethane and is black in colour. It has a stainless steel back case. It sits comfortably in your wrist. Its complete black touch offers a sporty look. Strap of watch is smooth in texture and doesn't create any kind of irritation in the skin. It is also water resistant up to 50 metres under the water. 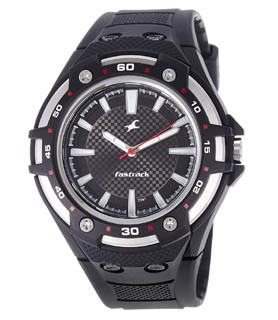 Fastrack Casual Analog Watch NK3120SL01 have a simple yet sleek design, the Casual Analog White Dial from the house of Fastrack is a head-turner. For making it scratch-resistant it has durable mineral crystal coating on the dial and the genuine band made up of calf leather uplifts the look and feel. Built for braving the world, It is also water-resistant up to 50 meters. 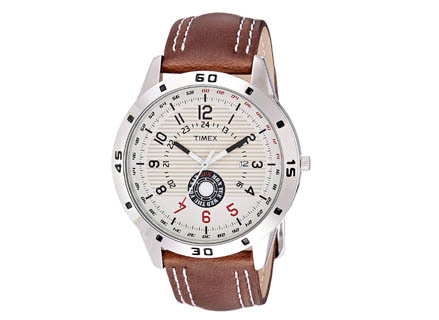 Overall this cool time piece is has Fashionable Leather Belt, Stainless Steel Back Cover and durable Brass Case Material. 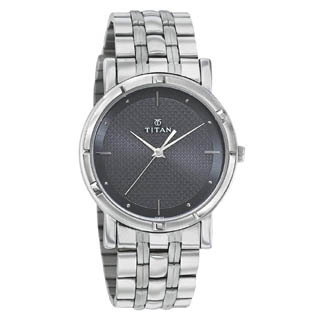 Titan Karishma Analog watch features a black, round dial housed in a brass case. The case is fitted with a crown that lets you adjust the time. This timepiece is not so expensive but still leaves a luxurious feel. You need not to worry in rain about any damage as it is water resistant up to 30 meter in the fresh water. 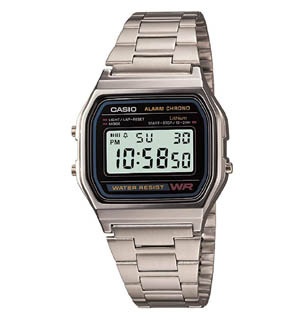 Casio Vintage A158WA-1Q (D011) comes with a ergonomic rectangular shape and size. It fits your hand comfortably without looking bulky. The rectangular shape gives you a hassle-free vision and look sporty in the wrist. It is also equipped with a stainless steel band which is glamorous on looks and strong in durability. Casio Vintage give you a comfortable fit irrespective to your wrist size is. It is designed in such a way that it can be customized to different size of your choice.